We are a Cornish band who add contemporary soundtracks to silent films – from Chopin and Villa Lobas to Leonard Cohen and the Buzzcocks. 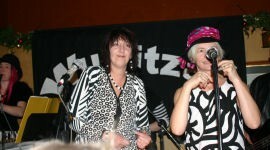 We also play as a band for functions, with a mixture of originals and covers. We can also offer a guitar trio and classical pianist for weddings.